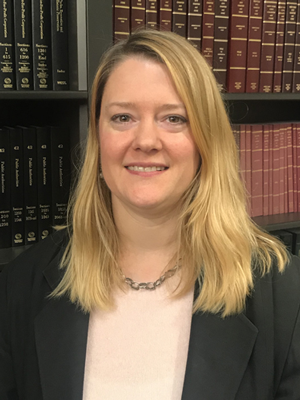 Jessica Goldthwaite is a staff attorney with the DNA Unit of the Legal Aid Society in New York City since 2013, where she assists, trains, and educates criminal defense attorneys and clients in DNA matters, and advocates for forensic DNA-related reforms and policy initiatives. Jessica led the team which successfully challenged the admissibility of evidence produced by low copy number DNA testing and the Forensic Statistical Tool, a likelihood ratio software program in People v. Collins, 49 Misc.3d 595 (Sup.Ct. Kings Co. 2015) (Dwyer, J.). Jessica was also a member of the DNA team which successfully litigated the admissibility of STRMix results in People v. Hillary, a case where different probabilistic genotyping programs reached different results. She is currently a member of the DNA Consensus Body of the American Academy of Forensic Sciences Standards Board. Before joining the DNA Unit, Jessica was a staff attorney in the Brooklyn trial office of Legal Aid for seven years. Jessica is the 2014 recipient of the NYSBA Criminal Justice Section’s Michele S. Maxian Award for Outstanding Public Defense Practitioner. She graduated from Columbia University (B.A. and M.A. ), and from the University of Virginia School of Law in 2004.